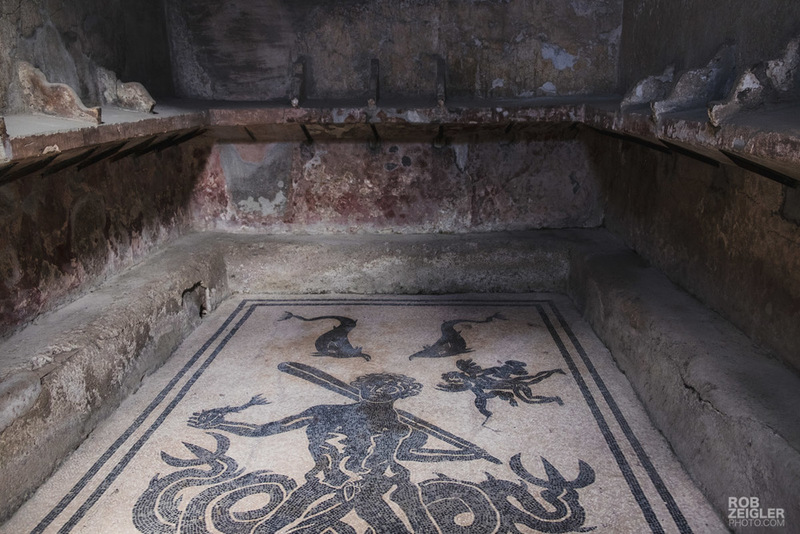 Herculaneum was a second home for the rich, a resort of sorts. Lead pipes took water directly into massive villas (if only they knew what we know now), and residents frequented luxurious bath houses that featured ingenious ways of recycling water and keeping the separate rooms varying degrees of hot and cold at the same time. 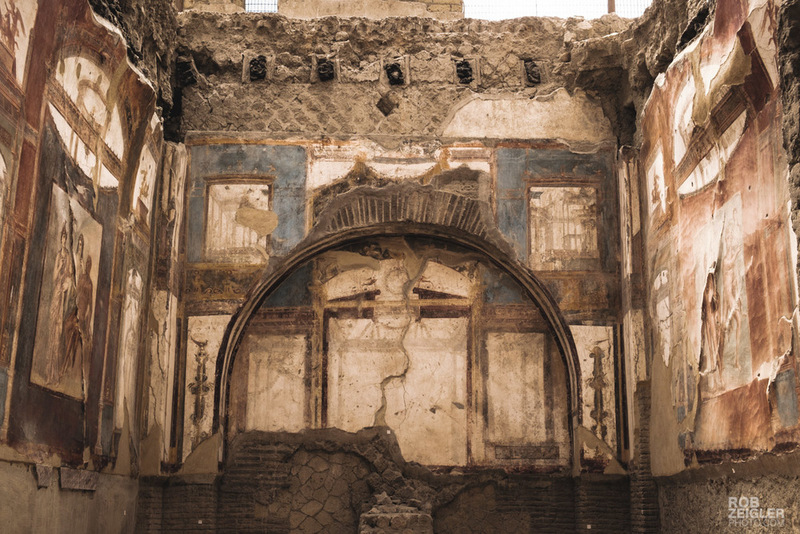 The ruins of the city, despite being directly under the modern day city of Ercolano, are amazingly well-preserved. Frescos and mosaics still exist in stunning detail and color. 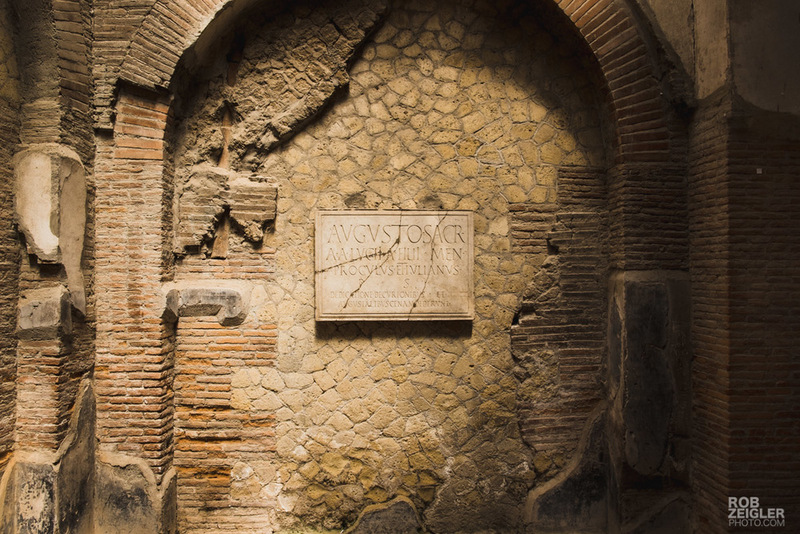 Unlike other cities that also fell victim to Vesuvius, real wooden features such as window shutters, doors and beds were preserved in Herculaneum. 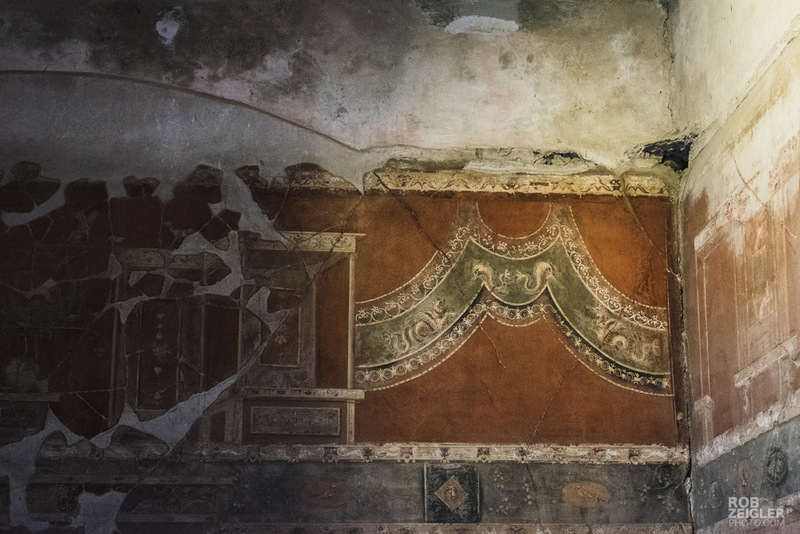 You can even still make out the price of wine colorfully painted on a merchants wall as it was seen on that fateful day in 79 AD. 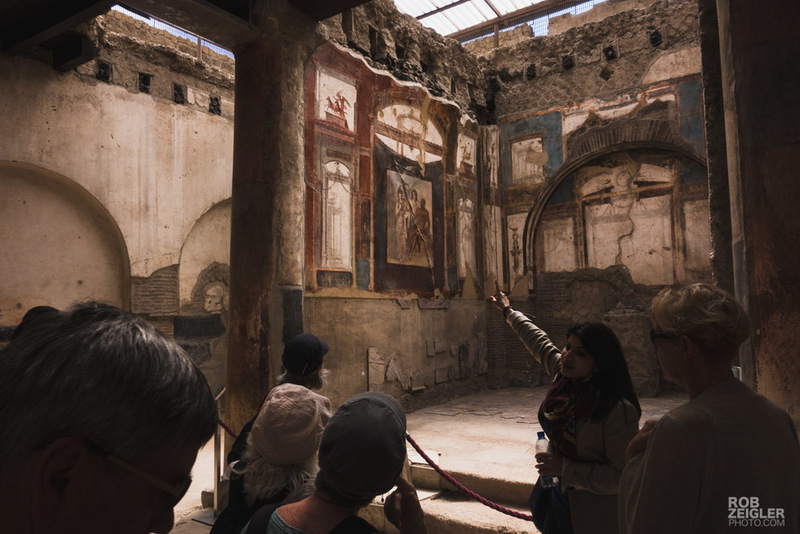 Excavation of the site is temporarily halted for now while conservation agencies focus on better methods of preserving what has already been unearthed. The entire forum complex, for example, is still not excavated. 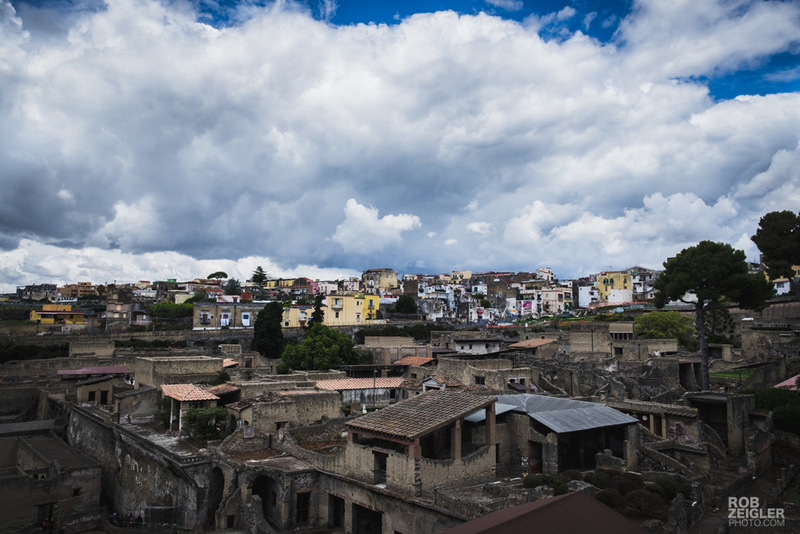 Still, what is to be seen of Herculaneum is an amazing sight, and wandering its streets 2,000 years later gives me chills as to what this grand city must have looked like in its day. 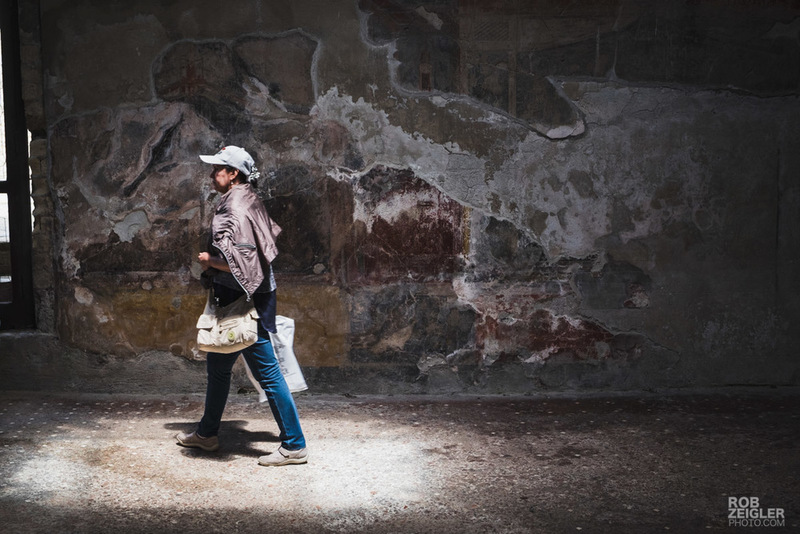 Marble, paint and precious metals may have given way to brick, stone and dust, but I still find myself captivated by the legacy of this city as it stands now.